In order to extract the websites' text, simply run the retrieve_website_text script. The script websites_analysis analyzes the text that was retrieved from the websites. The result will be the list of the most used Japanese Kanji characters and Japanese words from the websites. 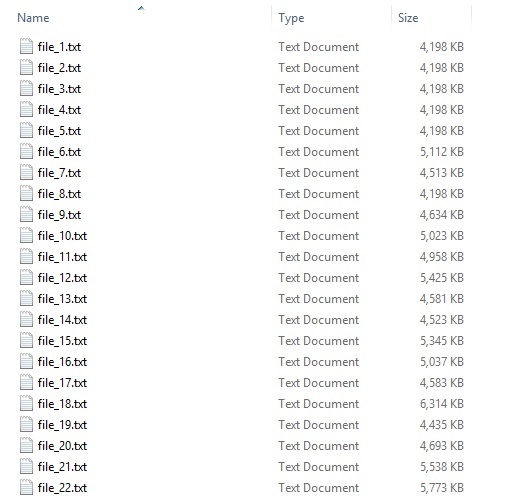 Step 1 - Download all the files and place them in a folder. Step 2 - Run the "websites_analysis" script. Once you're done, an "analysis" folder will be created containing two different folders: "kanji" and "words." Inside the "words" folder, there will be another folder and three text files. The "jp_words" text file will only store all the data from your "jp_websites" folder, the "split_data" folder will split that same data into several text files, and the program will read each file, one by one. The "official_jp_words" text file will contain the final list of the Japanese words along with their number of repetitions. Step 3 - On the other hand, inside the "kanji" folder, you will have three text files. The "kanji_chars" text file will only store all the Japanese Kanji characters that were found in the websites. The "official_kanji" text file will contain the final list of the Kanji characters along with their number of repetitions.